On November 18, a team of doctors and support workers from Amrit Davaa, Global Finance’s partner charity, embarked on their mission to deliver sustainable medical care and food aid to a remote community in the northeastern Indian Himalayas. The team traveled by air from the United States via New Delhi to Guwahati in Assam and then journeyed 12 hours by road to Tawang, a town that sits at 10,000 feet near the borders with China and Bhutan. Once in Tawang, the doctors set up a medical facility at the Manjushree Vidyapith Orphanage, which houses 108 children, many of whom are in dire need of basic medical care. Amrit Davaa’s doctors also set up a temporary treatment facility in the town center, providing care to many of the 40,000 people who live within the town’s vast rural catchment area. 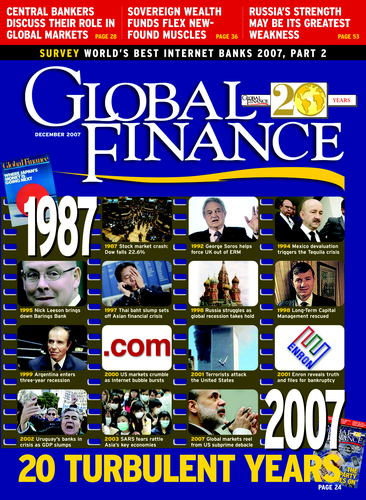 Global Finance made the decision to partner with Amrit Davaa as part of its 20th anniversary celebration. After two decades reporting on the world’s financial markets—focusing particularly on the emerging markets—the magazine decided it was time to give something back to the communities in which we all operate. To mark the beginning of this groundbreaking partnership, Global Finance will be donating 10% of its advertising revenues from this issue to the charity to help fund relief missions to impoverished communities around the world. In the coming months, we also will be using our contacts and influence to help Amrit Davaa raise funds for future missions in the firm belief that by helping the very poorest—those whom economic progress often leaves behind—we will be contributing to the economic development of the countries in which they live. Global Finance chose Amrit Davaa because it is a young, dynamic aid organization that embodies the creative, entrepreneurial spirit of our readership. It is an ambitious and efficient organization, and we believe that by bringing it into contact with the cream of the corporate world, we will be forming a partnership that goes far beyond simple charity and embodies the new spirit of social enterprise, where corporations and communities share the benefits of working together. Global Finance editor Dan Keeler traveled with the team to India and will be reporting on the mission in the January 2008 issue. Up-to-date news from the team, including video and photographs, is online at www.amritdavaaworld.org/blog .